Thinking of giving a beer of the month club membership, but not sure which one to pick? You've come to the right place! Our beer club reviews rank the top 10 beer of the month clubs based on quality, price, experience, and more. Compare the top 10 beer of the month clubs and get great beer delivered to your door! To keep this site free for consumers, we receive compensation for customer referrals. 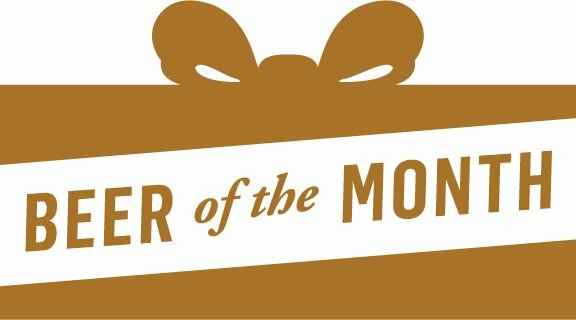 Compare the top 10 beer of the month clubs and give a gift or gift yourself with great beer! To keep this site free for consumers, we receive compensation for customer referrals. Get $12 off 4+ prepaid shipments. Go to U.S. and International Variety Beer Club and enter code at checkout. Go to The International Beer Club and enter code at checkout. Go to The Rare Beer Club and enter code at checkout. Before you decide on a beer of the month club, think about the quantity you would like to receive (typically 12 or 24 beers) and the frequency that you would like to have them delivered (every month, every 2 months, and quarterly are common choices). Compare costs and be sure to factor in any applicable delivery charges. Finally, check out details like where the beer is brewed (domestic or international) and if the club tends to focus on a certain recipes like IPAs or Lagers. The Original Craft Beer Club - Craft Beer Club. Regular price for 12-pack shipment is $42. Free shipping on all Craft Beer Club deliveries. Save $2 per shipment when you sign up for 12 months of beer club shipments. Microbrewed Beer of the Month Club - U.S. and International Variety Beer Club. Regular price for 12-pack shipment is $32.95 plus $15 S&H for a total of $47.95 per shipment. Save $12 off prepaid 4+ shipment order with code HR12 for per-shipment price of $44.95. Microbrewed Beer of the Month Club - Rare Beer Club. Regular price for two 750mL bottles is $35.95 + $14 S&H for a total of $48.95 per shipment. Six 750mL bottles ship for $70.95 + $19 S&H for two-bottle average of $29.98, inclusive of shipping. Clubs of America - Beer of the Month Club. Regular price for 12-pack shipment is $42.95. Free shipping every month. Save $25 when you sign up for 12 months of beer club shipments for per-shipment price of $40.87. Microbrewed Beer of the Month Club - U.S. Microbrewed Beer Club. Regular price for 12-pack shipment is $27.95 plus $15 S&H for a total of $42.95 per shipment. Save $12 off 4+ prepaid shipment order with code HR12 for per-shipment price of $39.95. Microbrewed Beer of the Month Club - International Beer Club. Regular price for 12-pack shipment is $34.95 plus $15 S&H for a total of $49.95 per shipment. Save $12 off prepaid 4+ shipment order with code HR12 for per-shipment price of $46.95.